I always wanted to be a tap dancer! I have a love of musicals which spans right back into my early childhood. My parents took my brother and I to every musical they could. These memories are really special and have always stayed with me. I think I know all of the words to most of the popular musicals. My sister-in-law was stunned to discover that I loved the show Glee. Kitkat. Although not many people know that either! Not being able to grow as an individual. Action and adventure with a sense of humour and humanity. Passionate, resilient, versatile, adventurous, open. Hermione. I have a tendency to be bookish and nerdy but at the same time I can be fearless when I need to be. 1920’s. I have a love of historical fiction and in particular, this era. The fashion, the pushing at the edges. We’re not all that different. My parents have had an enormous impact on who I am and what I have achieved. It was a process. I acted, directed and produced. I was talented but they all took a toll on me. It didn’t feel right. Then I tried writing. I realized that a lifetime of reading had sunk in somewhere. It was like a breath of fresh air. I’m shy and can be very tongue tied in social situations, but when I write I can fly. Kindness and/or being kind. It’s a value I put a lot of stock in. Giving that little bit extra if you can. We always appreciate it when people do it for us. Where I can I try to give back. Pride and Prejudice. I am an Austen tragic. 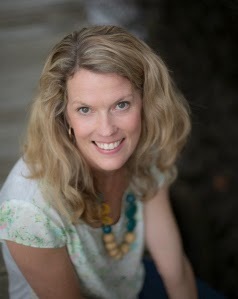 Jess Black is an Australian author of junior and middle fiction books including co-authoring the Bindi Wildlife Adventure series and co-authoring three titles in the RSPCA Animal Tales series. 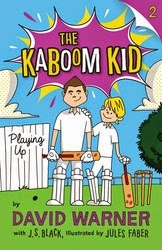 Her latest project is co-authoring titles in the cricketing junior fiction series The Kaboom Kid with David Warner. You can find out more about Jess and her books at her website and Facebook page.